Thomas Colgan, SPHR, SHRM-SCP has joined the staff of Penn Foundation as Vice President of Human Resources. 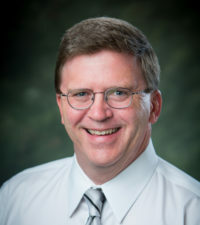 Tom has worked in the field of Human Resources for 25 years, most recently as the Director of Human Resources at Genesis Healthcare in Kennett Square. He earned his Bachelor of Science degree from St. Joseph’s University and serves on the Board of ARC Alliance, an organization dedicated to supporting families and individuals of all ages with developmental and other disabilities.